For ladies of the 2014 MTV Movie Awards it seemed as though there were two vastly different, yet both stunning, popular trends. While half of the ladies showcased their relaxed natural looks, the other half went the dramatic route by getting playful with color. Recreate two of the most gorgeous looks of the night – Rita Oraâ€™s red lip and Jessica Albaâ€™s natural glow â€“ with tips from Mary Kay! Cover the entire lid withÂ Mary Kay Mineral Eye Color in Silver Satin. ApplyÂ Mary Kay Mineral Powder FoundationÂ then lightly sweepÂ Mary Kay Mineral Cheek Color in Shy BlushÂ across the cheekbones for that just-pinched look. Apply a thin line ofÂ Mary Kay Liquid Eyeliner in BlackÂ on the upper lash line and thenMary Kay Eyeliner in BlackÂ to the waterline. Then coat lashes withÂ Mary Kay Ultimate Mascara in BlackÂ for full, Â Â Â Â Â Â Â Â Â Â Â voluminous lashes. Line lips withÂ Mary Kay Lip Liner in ClearÂ and then applyÂ Mary Kay CrÃ¨me Lipstick in Really RedÂ to attain the perfect red pout. Begin withÂ TimeWise Luminous-Wear Liquid Foundation. SweepÂ Mary Kay Bronzing PowderÂ along the hairline, temples and cheeks for an all-around sun-kissed glow. To attain a shimmery neutral eye, cover lid withÂ Mary Kay Mineral Eye Color in RosegoldÂ and then lightly sweep this color under the lower lash line as well. ApplyÂ Mary Kay Eyeliner in Deep BrownÂ to waterline and then lightly smudge into the lower lash line to create a smoky effect. 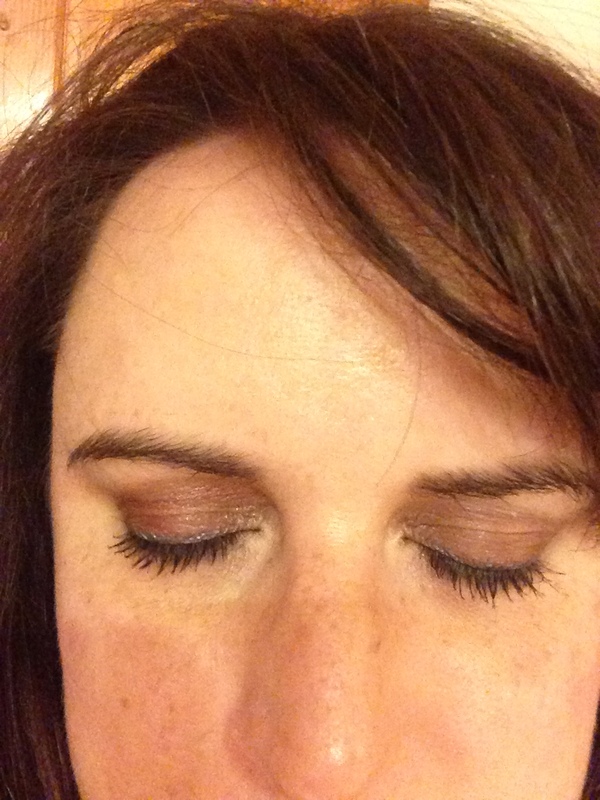 Then coat lashes withÂ Mary Kay Ultimate Mascara in Brown. Line lips withÂ Mary Kay Lip Liner in NeutralÂ and then fill in lips withÂ Mary Kay True Dimensions Lipstick in Pink Cherie.Â To create dimension and shine, applyÂ Mary Kay NouriShine Plus Lip Gloss in Â Pink ParfaitÂ in the center of the lips to complete the look. Click HERE to shop Mary Kay now! 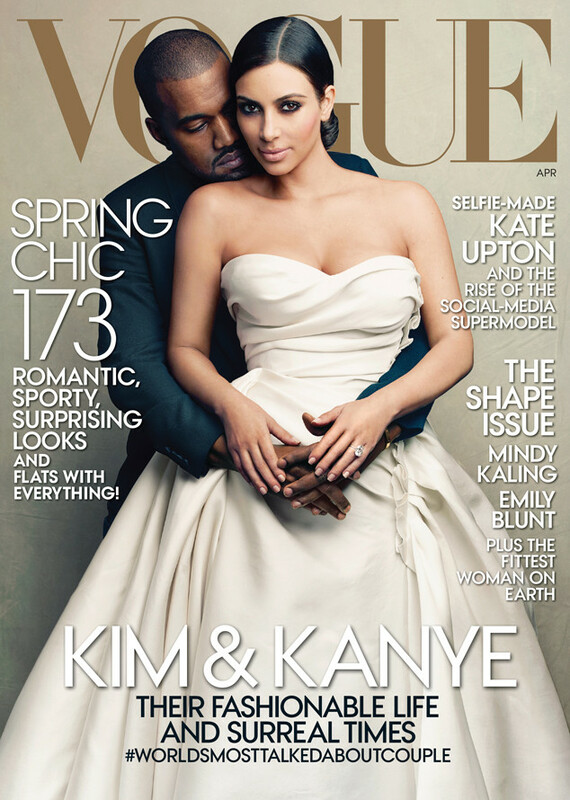 Calling all Instagram, Vine, Facebook, Twitter and Photography addicts! 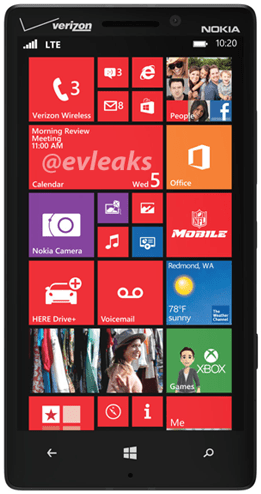 Have you heard of the new Nokia Lumia Icon yet? Have you seen the commercials? You know the ones with the amazing sounds and super clear and crisp pictures? This phone has a gazillion great features (it is a Windows phone after all) but what stands out to me the most is by far the camera. This phone takes the most amazing photos and videos. With its Full HD video, 20 megapixel camera and 5â€ full HD screen you are guaranteed to achieve the most perfect shot. The Icon also uses Zeiss optics which helps you take better photos in both light and dark areas. This technology also allows you to zoom in and reframe shots as well. Remember when you were at that amazing concert last summer and they played your favorite song and you grabbed your phone and took a video only to come home to watch it and realize all you hear is background noise and not your favorite song? Kiss that goodbye with the Icon. If you donâ€™t believe me check out this video to prove it! If you are a photographer or just a complete Instagram addict the Lumia Icon is a must! *Disclaimer â€“ Iâ€™m a Verizon Brand Ambassador. The thoughts and opinions expressed here are my own. Last night was the season premiere of The Real Housewives of Miami and recently I had the opportunity to chat with cast member Lisa Hochstein. Katie: What made you decide to shoot RHOM? Lisa: I thought it would be a great opportunity. Iâ€™ve had a lot of aspirations to have my own brand within the fitness, nutrition, clothing maybe jewelry arenas. Katie: How has being on the show affected your life? Lisa: Itâ€™s definitely made me a public person. Itâ€™s different because people really feel like they know you because you are letting them into your home, and see your personal life. Youâ€™re talking about all the trials and tribulations and triumphs in your life and thatâ€™s out there for everyone to see. So a lot of the time people will come up to me and talk to me like weâ€™ve been friends for years, which is really nice. Katie: Last season you were trying to get pregnant. Any chance you might adopt? Lisa: As of right now we donâ€™t have any intention to adopt. We are staying focused on continuing with the fertility treatments and having our own biological child. Lisa: I am not pregnant right now. I wish! Katie: I hear you are developing your own fitness products. Can you tell me a little more about that? Lisa: Basically in the past few months Iâ€™ve been testing out some products to make sure that it meets my standards if I have to modify anything. Rome wasnâ€™t built overnight and I have a really good team that Iâ€™m working with that are guiding me along the way. We are hoping everything will be in place by the summer. Right now we are focusing a lot on the skincare. Katie: In a recent Shape magazine article you said â€“ â€œEvery morning I make a protein pancake with honey on it, and then I eat five more small meals throughout the day and a protein shake after working out to feed my muscles.â€ Care to share your pancake recipe? Katie: Also, Iâ€™m sometimes skeptical of too much protein. I donâ€™t want to bulk up. What are your thoughts? Lisa: I love lots of protein. It doesnâ€™t bulk you up. If you eat lean protein it helps you maintain your muscles and keep you nice and toned. I also think women donâ€™t eat as much protein as men. I have this philosophy that could be why we age a little faster. The reason I say this is because protein is feeding your muscles and your muscles are attached to your skin, in your face not so much in your body. So if you are feeding your muscles itâ€™s keeping your skin and face nice and tight. Katie: What is your #1 trick to staying so fit? Is it more fitness or nutrition? Lisa: Itâ€™s a combination of both. If I had to choose one, number one would be nutrition. Even if youâ€™re working out and youâ€™re eating like crap youâ€™re gonna look like crap. Katie: Itâ€™s so hard to not eat right. I recently joined a gym but I feel like my nutrition hasnâ€™t changed and I know that if my nutrition doesnâ€™t change Iâ€™m obviously not going to see the results I want. Lisa: You might as well stop going to the gym. Youâ€™re cheating yourself. You may be building nice muscle, but you will still maybe have a layer of fat that youâ€™re not going to lose by eating horribly. You have to eat right. Thatâ€™s number 1 and working out aids to that. You can give yourself a cheat day. I feel every 5 to 6 days you should give yourself a cheat day. Have a cheat meal, not necessarily cheat day. That way you have something to look forward to and itâ€™s motivating when we have something to look forward to. Katie: I know you said you are currently working on a skincare line. What is your beauty routine now and what are some of your favorite products you are currently using? Lisa: The products Iâ€™ve been testing are what Iâ€™ve been using. My routine takes me about half an hour each night. I really make sure I never go to sleep with makeup on my face. Not a drop of makeup, because thatâ€™s how you clog your pores, your skin canâ€™t breathe. I give myself a facial once a week. I do my masks, a moisturizing mask and my clay mask once a week. I always go in the steam room because I feel thatâ€™s the best way to clear out your pores and release toxins from my body. It definitely makes my skin glow and it helps the masks and creams absorb better into my skin. I use a cleanser daily and also use a scrub twice a week. My skin can be oily especially living in Miami so I use a moisturizer thatâ€™s oil free and I use benzoyl peroxide cleanser for my face, and then a toner that really deep cleanses the pores and thatâ€™s how I keep it looking the way it does. Because if I didnâ€™t do that I would have a little bit of acne on my face. I am prone to it. I always use a serum. I think using a serum is super important. Also, I never leave the house without SPF 50 every single day. I think that definitely contributes to the way my skin looks. Katie: Do you use a serum and a moisturizer at night? Lisa: Yes. I use a serum and moisturizer day and night always. Never forget the serum because thatâ€™s whatâ€™s giving you all the nutrients and giving you the ingredients that help your skin look its best. The moisturizer is usually just a moisturizer. Katie: Do you watch the other Real Housewives? Lisa: I do. I particularly like Beverly Hills and Atlanta. Katie: Do you watch any other reality shows? Lisa: Not really because itâ€™s so time consuming to watch so much TV. I generally donâ€™t watch much more TV. I do like the show â€œBreaking Badâ€ however. Itâ€™s one of my favorite fictional shows. Lisa: I have so many. Thatâ€™s a tough question. I love BeyoncÃ©. I actually walked down the aisle to the song â€œHaloâ€. So sheâ€™s probably my favorite female singer. I also really love hip hop. Thatâ€™s actually my music of choice. If Iâ€™m working out I love to listen to house and I love listening to Calvin Harris. Heâ€™s probably my favorite house DJ. Lisa: If Iâ€™m going to a red carpet event I really love Emilio Pucci, Herve Leger , Dolce & Gabbana, I think they make the most beautiful creations. I also like clothes by Torn, I think itâ€™s really affordable for everyone and very stylish, so chic and fashion forward. I also love Mason by Michelle Mason. Her stuff is so well made for the price point. I think everyone should have a piece like that in their closet. Really beautiful stuff. Katie: Spray tan? Tanning Bed? Out in the sun? Lisa: No way will I lay out in the sun and no tanning beds. That is something I will never do to my skin. Itâ€™s the number 1 thing that will contribute to you aging. I always get a spray tan even though they say itâ€™s still not the best for you. To me itâ€™s better than laying out in the sun. I love to have a little color becauseÂ it makes your body look more lean, trim and fit. It makes you look healthier. Katie: Last song played on your iPod? Lisa: That new Florence and the Machine house song. It gets me going and gives me goose bumps. Music is definitely my drug. Iâ€™m very passionate about music. I love hip hop and house music. Iâ€™ve always had a little fantasy to produce my own house music. Lisa: I used to be a pianist believe it or not as a young girl and used to play the clarinet in band. Iâ€™m such a band dork! I have an ear for it. When I first hear a song I can always tell if it will be a hit or not. Iâ€™ve always wanted to produce my own music. Katie: Do you do your own social media? I think you do. Lisa: Yes I do my own social media. I donâ€™t think people would necessarily want to follow you if somebody else was sending, posing, tweeting, Instagraming as you. If I follow someone itâ€™s because I want to see what they have to say. Not what someone else is saying on their behalf. Katie: Whatâ€™s your favorite social media site? Lisa: I love Instagram. Itâ€™s right there on your phone and just an easy app to use. Itâ€™s so visual, itâ€™s all pictures. When Iâ€™m at the gym doing cardio thatâ€™s when I do a lot of my social media. I hate cardio just like everyone else, itâ€™s just not fun. So when Iâ€™m working out a great way for me to pass the time is through social media and catching up on what my friends and family are doing. Iâ€™m catching upon people I follow and tweeting myself. Itâ€™s a great way to stay fit and get things done. Katie: I recently joined a gym and I too get bored doing cardio. I tend to watch TV and also bring a magazine. Itâ€™s a great way for me to get through my magazine pile. For more info on Lisa Hochstein visit her website http://www.lisamariehochstein.com/ and follow her Blog for great health and nutrition tips. I was recently invited to attend a CoverGirl event to learn all about their amazing new products. Iâ€™ve been wearing CoverGirl since I started wearing makeup, so I was thrilled to be invited to this event. Not only was I going to have the opportunity to try a bunch of fab new products but I was also going to be able to mingle with fellow bloggers as well as Sofia Vergara and Nervo. You may read about the fab new products HERE! But I wanted to share a bunch of photos that I took as well as a few that were provided to me. I loved the relaxation lounge. 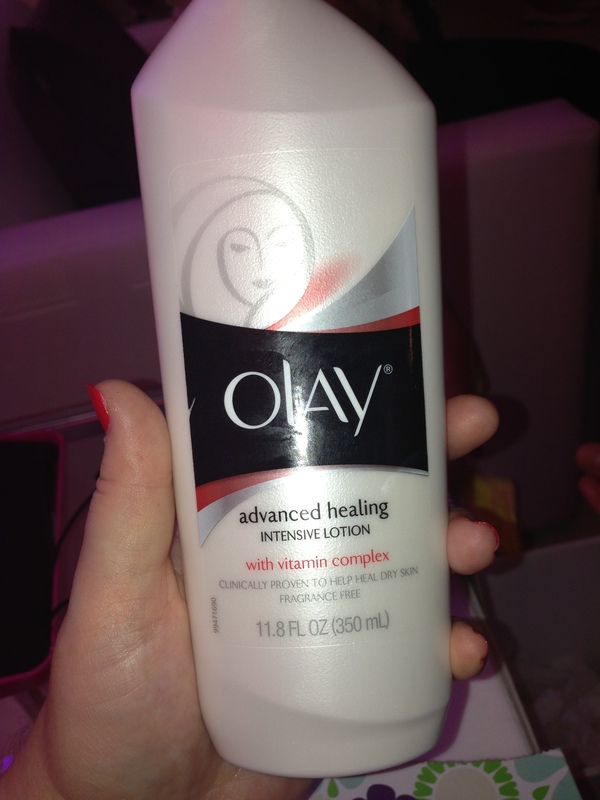 Guests were invited to recharge their devices, and get a hand massage with Olay Advanced Healing Lotion which I need to run out to CVS to buy. It was super light and moisturizing. Perfect for summer! I got a manicure with the new Glosstini’s. I chose Sangria which is pictured here on the bottom. I happened to be getting my eye makeup done with the new Flamed Out collection when Nervo and Sofia did an impromptu photo session right in front of me. My makeup artist was finishing my eye makeup with Flamed Out #310 and eye crayon when Sofia happened to look at the options on the table next to me and grabbed the vibrant red I was using. I said that’s what I have on, closed my eyes to show her and she had to have it too. Here she is grabbing the color I have. Don’t worry it looks redder than it really is. Here is what it looks like on. A lot more neutral right? As you can see I had a fab time! 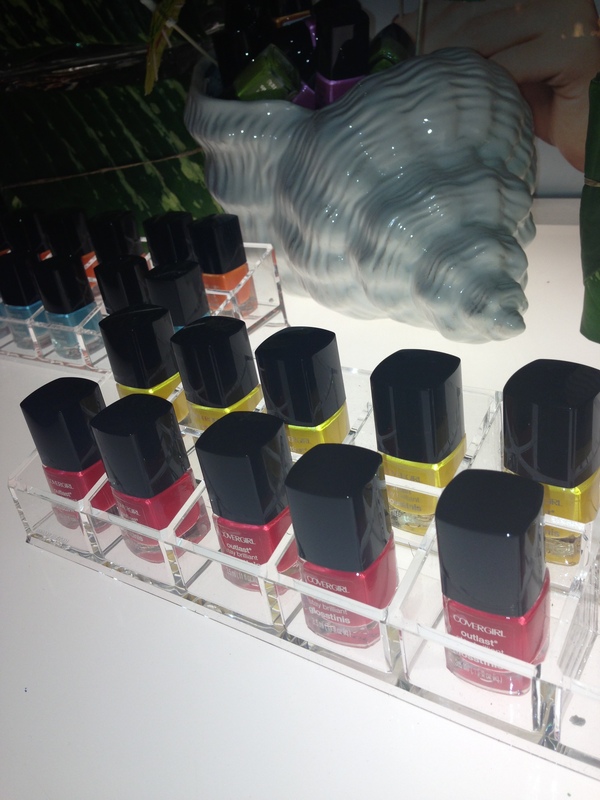 And don’t forget to check out my CoverGirl blog to learn all about their new products coming out July 2013.